Couple of important changes were the styles for event edit page. We had users having issues with darker meta box layout with darker font making it harder to read. So we have decided to change event edit meta box to a lighter design. 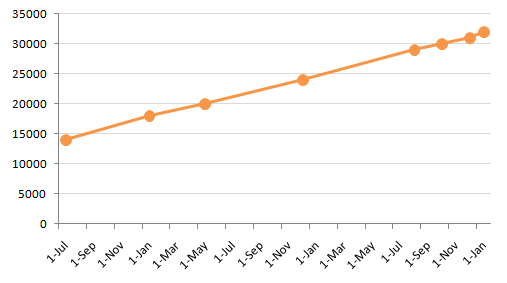 EventON has been growing in customer base at a very healthy rate year after year since it’s inception. We greatly appreciate the support from our amazing customers that helped us push eventON to new levels every day. However, with this growth comes other challenges such as managing the bigger customer base while still providing the best customer service we possibly can. 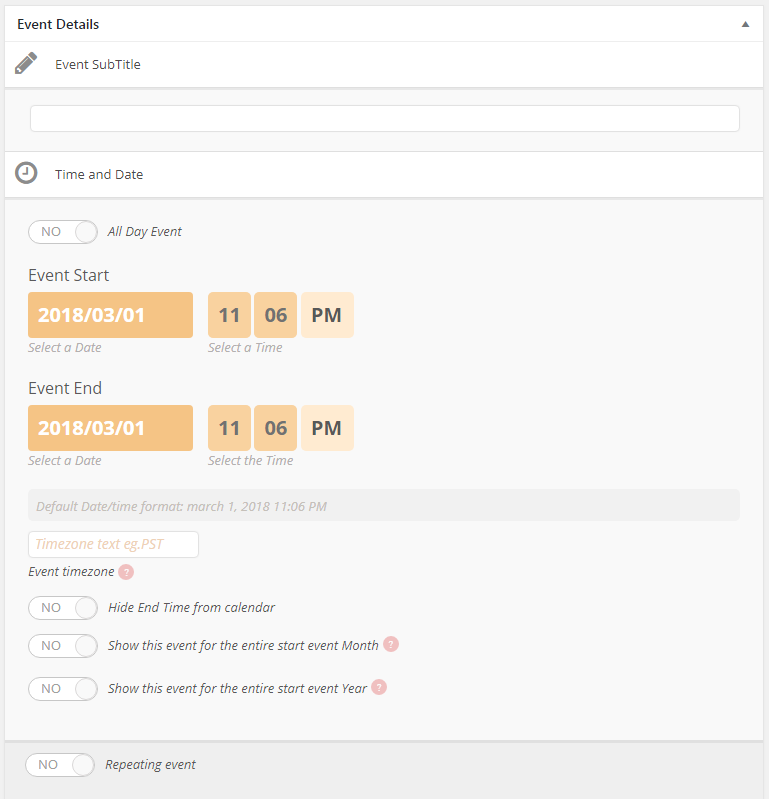 And we also want to put lot of time towards development of EventON to add new features to stay innovative to offer the best calendar experience for our customers. The time towards research and development on new features has become challenging when we have to spend lot of time on support for the growing customer base. To overcome these challenges while still being able to drive EventON forward, we have decided to switch only our unlimited addon license terms to 1 year license subscriptions. However EventON main plugin will continue to be an unlimited license. Most importantly, the customers who have already purchased EventON addons under unlimited updates and support license terms, will continue to receive unlimited services from us. From here on, when you purchase EventON addons under 1 year license terms, that will be subject to yearly updates and support going forward. The new subscription license can be cancelled from auto renewal any time from myEventON My Account. More information about the new license terms can be found in our terms. I believe this will help us tremendously to focus our efforts on a greater level to grow EventON with new and innovative features and serve more customers with their needs than ever before while providing them with an excellent service first hand.